It was Saturday night and we were headed into town. A while back Uncle Manuel sent word that the old Town Tavern was about to be put up for sale. 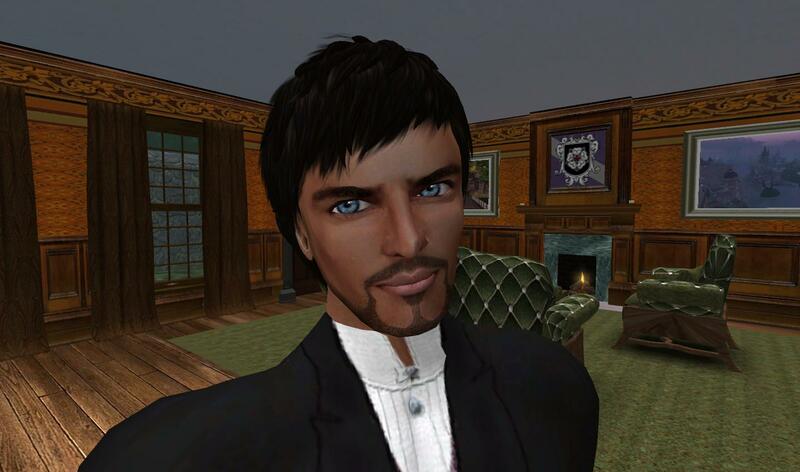 I had just opened a pub in Winterfell but had just closed one on the SL Mainland. The idea of owning a pub near the family homestead sounded nice. My cousin Robbie handled the arrangements and hired the contractors to fix up the building. My sister Annie hired the managers and staff. I’d coordinated with them from afar and I was most anxious to see the place. We were on the way to The Evergreen Pub in Dankoville. My pub, my town. Now, mind you, the town thing is a long and complicated story. We’ll get to that but not right now. Tonight, we’re keeping it simple. We’re celebrating beer! The Evergreen Pub is hosting a little home-coming celebration for me along with a business coup: The Evergreen has negotiated a deal with The Pheasant’s Roost Tavern in Ravenbaile, Ireland to become the exclusive distributor of Pheasant’s Ale throughout the Greater Dankoville area. The managers at The Evergreen have done a great job though I will say that I did pull a few strings on this one, myself. Ever since I visited the Augurey Peak region and was introduced to Pheasant’s Ale…well, let’s just say I go out of my way to get back there whenever I can. And tonight, we will have one of the bartenders from The Pheasant’s Roost as our guest of honor. And just to have one more thing to celebrate, one of the managers had dubbed the event, “Oktoberfest Beer Tasting.” Although celebrating Oktoberfest with Irish beer and Italian/American pizza did seem a bit suspect. But a party is a party, I guess. Annie was driving Uncle Manuel’s Desoto Firesweep. Uncle was in the back with Grace and I was riding shotgun. It’s not quite as impressive as it sounds. The car was built in 1957 but it is not 56 years old. It’s two years old. Uncle Manuel had it imported from the mid-20th century. North on Route 131, passing through the town of Strange – which is the smart thing to do in the town of Strange, pass through. Or so they say. Myself, I’ve never had any trouble there. But I’ve heard some stories about that town. Some mysterious stuff. I wasn’t going to argue with her in front of Uncle Manuel and Grace – and maybe she was right, I hadn’t thought about it. Why would I? This trip was supposed to be about Manuel passing the operation of Whitfield Farms down to his son, Robertson. I just came to find out what the details were and to see how I could help and, of course, to sign the documents. I didn’t know I’d be appointed president of the company. So how could I know I would need a proper office. As a matter of fact, how could Annie know?!! As it dawned on me, I shot her a look. It was involuntary. I think my mouth dropped open. Annie glanced at me quickly and looked back at the road and bit her lip. We said nothing. All of a sudden the conversation in the back seat stopped as well. There was an awkward silence until Grace said, “Danko, look at the business you’re doing tonight! The parking lot is full! Annie dear, take a right on Whitfield Street and park behind the gallery.” As we got out of the car and gathered ourselves up and began to walk back to the pub, Annie was avoiding my eyes. Well, okay. So she knew before I did. And she acted on it. What else would I expect her to do? Why am I angry? Wait, I’m not angry, just surprised, just thrown off by the whole turn of events. There’s nothing actually wrong here…it’s just the shock of it all. As we walked down the street with the others behind us, I reached over and put my arm around my sister and gave her a walking hug. “I could see furniture, a waiting area there, I guess…in my office…looked very nice,” I said, trying to ease the tension. “Oh, I do hope you like it,” Annie said, sounding relieved. “If you don’t like the color scheme we can exchange it all.” “Oh no, I’m sure it’ll be fine, Annie.” “There’s a display area on the ground floor too,” she went on, “for you to promote your writing as well as the farm. The top floor will be your office. It’s a marvelous space. Great view. You can see the mountains.” She was still selling me, still a bit worried. “It sounds perfect,” I was trying to reassure her and myself at the same time. “I’ll go in Monday and have a look at the place. Maybe even get started a little.” “Your assistant will be there at 9 a.m.” Annie responded. I blinked. Annie continued, “She’s a temp. I have two interviews set up for you on Monday afternoon with candidates for the permanent job and one more on Tuesday.” I smiled. “Great. Thanks.” Nuff said. Anyway, we’d arrived at the party. “Here’s the man! Danko! !” shouted one of the patrons at the bar as we entered The Evergreen Pub. There were a few cheers, a smattering of applause and shouts of “Hello Danko!” and “Greetings, Ambassador” and “Welcome home!” I shook some hands and received a few pats on the back and accepted the well-wishes as I worked my way over to a table that had been reserved for us. But Uncle Manuel was the center of attention, of course. He’s one of the most popular and respected citizens of Strange County. I had passed through the gauntlet of greetings quickly but the crowd would not allow Uncle to do the same. Everyone came closer to say hello or shake his hand or slap his back and engage in a little good-natured ribbing. It seemed the whole town had seen or heard about the old guy climbing up on the farm vehicles over the protests of Annie, Grace and the forewoman. “Manuel,” an older man hollered as he looked out the window, squinting at the parking lot and the street, “where did you park your tractor?” Guffaws all around the pub. “You can’t be pulling your nephew into town on a haywagon, Manuel. The man’s an Ambassador for cryin’ out loud,” said another man, to more raucous laughter. Uncle Manuel laughed along and bantered back and shook the men’s hands and hugged all the ladies. I watched in admiration as he worked the room and brought a smile to each face. By the time he reached our table, the first round of beers was already in front of us. After we each gave a review of the particular brew before us, Annie and Grace went over to the buffet to get us all some pizza and Uncle Manuel motioned at me to take Grace’s seat. He seemed to have more to say so I sat quietly, waiting, as the noise of the party filled the moment. I was glad to hear him say it that way. But before I could comment, Uncle Manuel surprised me again. “As I say, I will just be offering advice from now on. You and Robbie will have to figure it all out. With help from Levon when you need it but as he won’t be here, it’s up to you and Robbie. And Robbie will be travelling a lot. So it’ll mostly be you. And you won’t always be here. And then what?” Uncle Manuel looked at me as if he was expecting an answer. He wasn’t. “Well, you will be here, Uncle — ,” I started. He cut me off, “I will only be offering advice.” I didn’t know what to say or what he expected me to say. The ladies returned with the pizza and Grace took my seat as I had hers. “I’m getting another beer. Danko?” Annie asked. “Yes, thanks!” “I’m good,” Uncle Manuel said. “Me too,” added Grace. The puzzled looks on our faces turned into smiles. It was a big moment in the family. Equal opportunity for women in running the farm was a concept that brought talk but no action from the Whitfield men over the generations. I was looking forward to the day my generation would have the authority to change that. And now, just as we were about to assume that authority, it was the old guard that came through on this issue. It was a moment to remember. Uncle Manuel made clear this was not a token appointment. He said Annie had the smarts and the drive and those talents should be put to good use. “Robbie is Vice President of Operations. Levon is Vice President of Administration. You’ve got one month, Mr. President, to figure out what Annie can be Vice President of.” “Special Projects,” I said, without missing a beat. “Special Projects!” Uncle Manuel repeated, smiling. Turning to Grace he said, “See, it is worth it to have a writer in the family after all.” We chuckled. Then Grace added, “She’ll be good at that.” “I know, that’s why I said it,” I smiled. “She’s a trouble-shooter, a problem-solver.” Manuel spoke again, “And Danko, I want you to groom her as your successor.” “Firing me already?” I joked. “No, no,” he said, “It’s just I know you weren’t expecting this appointment. And I know how busy you are. If you could just give it say, five years – more if you want – but five years would be good…by that time, Annie will be ready.” “Sounds like a plan,” I said as I lifted my glass to toast the idea. We all sipped our beers, then Uncle Manuel, looking at Annie talking to some customers at the bar, said, “Yup, someday that girl will be the president of Whitfield Farms Corporation.” Grace and I stared at him. “That woman, I mean.” Smiles. The party continued, the place was packed. Jamie Wright, of The Pheasant’s Roost Tavern, was “guest bar-tending” for an hour, along with Dave, the regular Saturday night guy, who I’d just met tonight. I didn’t get the whole story but apparently the owner of The Pheasant couldn’t get away so he raffled off the trip among his employees and Jamie had the winning ticket. I had met her a couple of times as she was working the bar at The Pheasant when I visited. Uncle Manuel stood and clapped his hands and asked everyone for their undivided attention, “All righty, folks. There is a little business to conduct here. Listen up, please.” It took a minute or so for the place to quiet down as the party had been going full-steam. I introduced Jamie and made the formal announcement regarding Pheasant’s Ale. As the crowd applauded, Jamie and I toasted each other’s pub. Then I bought a round for the house and the partying resumed. Annie nodded. “I know how busy you are,” she said quietly, “and I knew you hadn’t considered anything like this.” “That’s for sure,” I said. “But it’s a good plan,” she continued. “It wasn’t easy for him but he thought it all through. His health, the state of the business, the different talents each of you have. I didn’t expect him to do it this way, splitting up the responsibilities, but it makes a lot of sense. It’s too much for one person nowadays. He’s a very smart man.” I nodded, smiled, sipped my beer. “I’ll need your help too, Annie,” I said. She smiled. “Of course. Anything I can do, just ask.” “I’ll think of something,” I said smiling. Her smile continued but I detected a slightly puzzled look on her face now. It was funny but this was my first piece of business as the head of Whitfield Farms…to try and hire my sister. “So what are your plans now?” I asked, purposely sounding brotherly rather than business-like though I was asking for both reasons. “No more touring, I hear?” Annie, like everyone in the family, is an accomplished musician and the only one of us who pursued it as a career. She told me she was thinking about settling down and was looking at a couple of teaching positions in the Strange County school system. She was also considering teaching music privately, giving lessons on piano, guitar and flute. “You men still like all the travel but I’m ready to give that up. I’ve always enjoyed helping people grow their music. And coming back here to live won’t be so bad with you here often and Levon from time to time. As long as I can get news of the outside world, I’ll be all right,” she laughed. Annie was waiting on the tiny platform as the train pulled into the depot. “Whitfield Crossing! WHIT-FIELD CROS-SING!” called the conductor. Just me and two others getting out here, the rest had one more stop to go. “I know.” She was nervous. It had been three and a half years since I’d been back to the farm. It was just before I came to Winterfell. I stopped in then to help Uncle Manuel with some farm business. Uncle had always consulted his brothers on important matters involving the family farm though he really wasn’t required to do so. He had run the day to day operation since his father died. Since my parents died he had included me, as the oldest, in the discussions about major decisions on the farm. On that last trip we hired a new foreman – forewoman, actually – to run the farm as Uncle Manuel’s doctor had told him it was time to slow down. But Uncle still ran the business side of it. Now that time was coming to an end as well. “It tires him out. It’s not good. Too much stress. His doctor says he still has several more good years ahead if he just takes it easy.” I nodded as Annie spoke. “He still gets up on the new tractor about every third week. He keeps up with the technology. He loves that tractor. It’s hard to get mad at him when he’s riding it, he’s having so much fun.” Annie shook her head and laughed. My cousin Robbie, Manuel’s son, had told me the same things Annie was saying now, so I came here knowing what to expect. What was about to happen was monumental in a family’s history. A farm was about to be transferred from one generation to the next. Annie drove the red pick-up with the white lettering on the door that said WHITFIELD FARMS. It was a short ride on Route 22 East from the train depot, past the cornfields to Route 7 South to the old green and white farmhouse. As we walked up to the door, Grace appeared. “Welcome home, Ambassador.” “Thank you, Grace. Nice to finally meet you.” We hugged. My Uncle had been widowed for some years and since my last visit, Grace had come into his life. She was younger by about fifteen years. She owns a farm supply store with her sister and lives nearby. Annie’s letters speak highly of her. Quietly I asked Grace, “How’s he doing?” nodding toward the living room where I expected Uncle Manuel to be waiting. There was an awkward pause and then Annie started giggling. I smiled. Grace turned slightly red. “Oh! You know what I mean! He needs to get out of the house. Go places. Do something that’s not about business. Fun things.” She looked at us and smiled. “Oh, you two.” We all chuckled. “Welcome home, nephew!” The baritone voice was thinner than when last I heard it but as warm as ever. A handshake then a hug and in a few moments we are sitting in the big old red chairs around the fireplace as cigars are lit and coffee is poured and Uncle Manuel is leading a lively conversation. We hopscotch from one topic to another: my trip, the train depot, corn prices, the weather, Grace’s apricot pie, the new tractor, and a local political scandal. Okay, remember earlier when I said I knew what to expect? Scratch that. This is one of those matters that doesn’t involve much discussion or negotiation. This is the family business and if you are asked to take on a role, you accept it. So I did, of course. But first I asked how Robbie felt about all this as I was concerned I was stepping on my cousins’ toes. Uncle Manuel explained that the international and inter-century nature of Whitfield Farms’ business requires Robertson to travel to other time periods often. He can’t be here enough to do the things the head of a company needs to do. When he is here, he’ll be busy working on our ag issues and strategy, not public relations. Made sense. So I will be needed here. Often. Uncle Manuel knows Winterfell is my home and that I have responsibilities there and elsewhere but he’s asking me to make a second home here. There will be an awful lot to juggle. Winterfell and Devokan and my writing and gridhopping and now the farm….but I will have to make the time. It’s going to take some getting used to, being here on the farm again, going into town, learning what’s changed around the area. I’ll bet there have been an awful lot of changes. I haven’t lived here for nearly a hundred-fifty years.